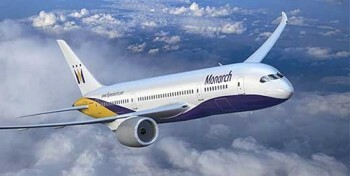 Airline Monarch has changed over the last few years from a charter carrier into a ‘proper’ scheduled airline. It now has hubs at Leeds Bradford, Luton, Manchester, Birmingham and Gatwick and a wide range of destinations. Monarch is a long term Tesco Clubcard partner at a 1 : 1.5 conversion rate. £10 of Clubcard vouchers got you £15 off a Monarch flight. This was not the greatest deal of all time. Until May 24th, the conversion rate is improved to 1 : 2. £10 of Tesco vouchers will get you a £20 Monarch e-voucher. There are NO issues over availability. You are exchanging your Clubcard tokens for an e-voucher which can be used on ANY Monarch flight departing from the UK. The vouchers must be used in one transaction. You do not get any ‘change’ if the flight costs less than the voucher. Full details can be found on this special page on the Tesco website. If you want to learn more about Monarch and its route network, their website is here. Thanks for this. Assuming though that BA flys to the same European destination as Monarch and there is still reward seat availability, wouldn’t it be better to convert those points to avios and book on BA? Those are the prices from London – from regional airports It would be double that! I dont think it is viable to fly from the regions short haul with BA using Avios anymore. Ok, I’m seeing 13k off peak rather than 15k. Not far off though! Yes, I can see how this could make a difference in the regions. Ah yes, Monarch. The airline who already want more than £600 for a round trip BHX-SZG over New Year. That’s before the extras like luggage are added in and they you can be guaranteed that at SZG for the return flight there will only be 1 check in desk open. Buyer beware. For all BA’s faults, this will likely be an education in the fact it’s possible to scrape the barrel even lower. Ermmm, you are aware that BA does exactly the same thing? As do virtually all airlines. Is that a pic of a 787 which MON ordered but never took delivery of prior to their long haul retrenchment? Yes! It was the best picture I could find – I need to use ‘official’ images to avoid copyright issues. We recently flew from Birmingham to Malaga as part of a tour of Spain. It was perfectly acceptable and I would fly with them again in the unlikely event that they flew where I wanted to go. It seems to me best to keep the Tesco vouchers and MR points until a specific redemption is required, except for the various bonus offers! I recieved a mail from tesco about its impending Double up on instore departments. No date or dept list yet but its coming shortly. Getting 2p point is actually good value to me, especially since Tesco direct are usually the same price as the competition. Apart from Monarch, are any of the other Clubcard travel redemptions worth considering as an alternative to Avios ? Many offer 3x or even 4 x face value but often seem to have restrictive terms or non-eligibility for certain discounts (e.g. Siblu early bird), or may not have the most competitive prices. My thinking is that if a conversion to Avios equates to buying for 0.42p per Avios, that would be around 2 x value (i.e. buying Avios for around 0.84p would be fairly neutral per Raffles’ guidance). If any of the 3x or 4x conversions genuinely do offer that value then that may influence how I deploy my £450 of Clubcard points stored up. My inclination is still to convert to Avios for when I get a 2-4-1 as I am an Avios fan (and a HFP fan – although 1st time contributor), but does anyone out there feel they got genuine 3x or 4x value with an alternative? A related question is, based on past history, what sort of Clubcard to Avios conversion bonus could we expect sooner or later? I was not monitoring closely in the past. Bonus conversion offer from Clubcard to Avios – some say due to the UK recovery that its unlikely we will see another bonus and then some have rumoured that due to the recent devaluation that we may see another bonus?